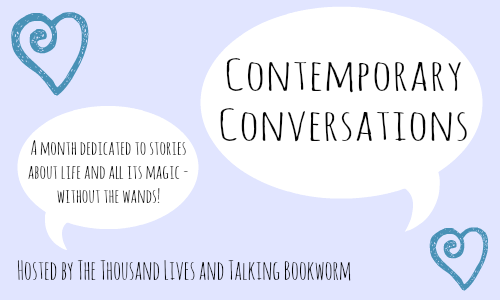 This week I’m not starting off with a review, but with a discussion post! Something that really irks me is the lack of YA Contemporary novels that deal with Spies, Government Agencies, and Conspiracies. We have a wide variety pretty much of any sub-genre, but not this one. Why is that? Is it because there isn’t such a big demand or there aren’t enough authors writing these types of stories? Yes, we have spies, assassins, and government agents in dystopian novels, sci-fi novels, and fantasy novels, but not in contemporary novels. I say that it isn’t fair. Sometimes I just want some spies in my life you know? One of the reasons I love Ally Carter is because Spies, Government Agents, Conspiracies, Con-artists are the things she writes about in a pure contemporary world. Jennifer Lynn Barnes who is Ally Carter’s friend also writes in these sub-genres. Apart from them, I don’t know other authors that focus solely on that. I would have included “The Name is the Star” by Maureen Johnson, but it is a paranormal contemporary novel. It’s not pure contemporary and that is where it irks me. We have action movies that do not have sic-fi, paranormal, fantasy, or dystopian elements to them, but where are the books that are just pure action and suspense? That is my question. That is what I want people to answer me. I want to hear from you now. Do you like to read these type of novels or do you prefer this spy, assassin, etc., thing when it is in a dystopian or fantasy world (ex: Delirium , Throne of Glass, etc.)? and why? Hopefully you will shed some light on this subject because it’s just not fair. Not fair at all. WEEK THREE IS OVER! WOOO! I’ve had tons of fun doing this and I hope you guys have had as much fun participating as well. Below is a list of the posts that were a part of “The Re-Reads” week. If we missed your post or discussion by any chance, go ahead and leave it down in the comments below and we will add it to the list accordingly. Sa joins us mid month after a slump! Week 4 is the week I have been anticipating the most since the very beginning. It focuses on several sub-genres I am very passionate about. This week it is all about spies, conspiracies, and drama. I am a sucker for those sub-genres and I wish they were more popular than they are. We will be having a challenge this week too! Throughout the week, on both Kayla’s and my posts, you’ll find clues hidden around. All of the clues will put together the answer that you’ll need on Friday – the correct answer gets you an extra point in our giveaway! Who is excited for this week?! I AM! I reread the first 4 books in the series and skimmed the fifth one in order to get ready for the final book in the Gallagher Girls series. It was a very wise decision on my part because I had forgotten a lot of key details of the series (I read the first book in 2008). 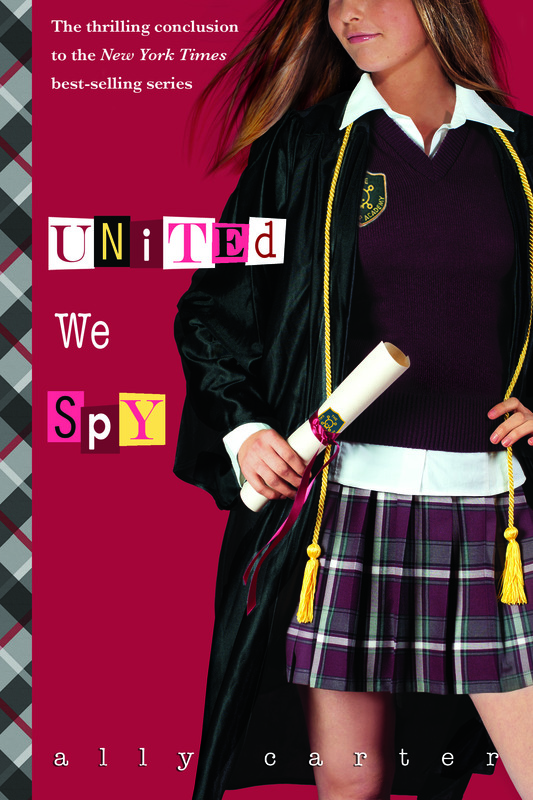 United We Spy is exactly what I wanted in the last book of this amazing series. I was blown away by how well everything was tied together so neatly. We were able to see all of our favorite characters and we even found out information that we didn’t know we wanted until the moment Ally Carter put that little seed of information in our head. I’m trying really hard not to spoil the novel for those who have not read the Gallagher Girls series, but know that I was blown away by this book. I devoured United We Spy in one sitting. The book felt too short for my liking and the ending left me with so many questions, but any other ending would have not done Cammie justice. We got a lot of Zach & Cammie moments, and we blessed with the presence of some characters we hadn’t seen in a few books. I am absolutely happy with how the series ended, but at the same time I am bummed out that I will not be waiting another year for the next Gallagher Girls book as I have been doing since 2008. What HP is to other people, Gallagher Girls is to me. I was a Gallagher Girl through High School, College, and now as a Post-Graduate trying to tackle the world. Even though this series has ended, I will always be a Gallagher Girl. 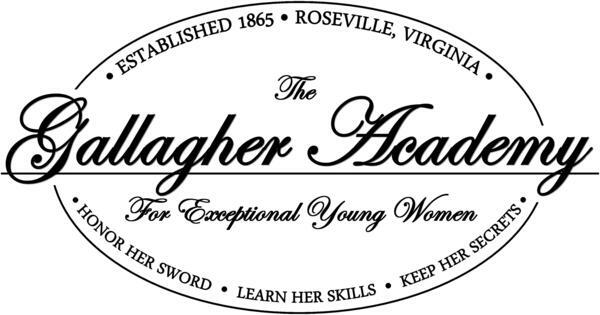 The Gallagher Academy for Exceptional Young Women is a fairly typical all-girls school, that is, if every school taught advanced martial arts in PE, the latest in chemical warfare in science; and students received extra credit for breaking CIA codes computer class. So in truth, Gallagher Academy might claim to be a school for geniuses, but its really a school for spies. Cammie Morgan is a second generation Gallagher Girl, and by her sophomore year she’s already fluent in fourteen languages and capable of killing a man in seven different ways (three of which involve a piece of uncooked spaghetti.) But the one thing the Gallagher Academy hasn’t prepared her for is what to do when she falls for an ordinary boy who thinks she’s an ordinary girl. Sure, she can tap his phone, hack into his computer, and track him through a mall without his ever being the wiser, but can she have a regular relationship with a regular boy who can never know the truth about her? Cammie may be an elite spy in training, but in her sophomore year, shes beginning her most dangerous mission; she’s falling in love. The last time I read this book was about 5 years ago. Reading it again after such a long time, it was almost like reading it for the first time. I had completely forgotten how the whole Josh thing went down. The first time I read it, I was confused with the whole Josh thing and how things worked (writing style-wise), but reading it now, my experience was crisp clean reading. I liked the pacing of the novel and I fell for Joe Solomon. I wasn’t a big fan of Joe Solomon until the third book, but now, a totally different experience. Re-reading it again made me love the Gallagher Girls even more. 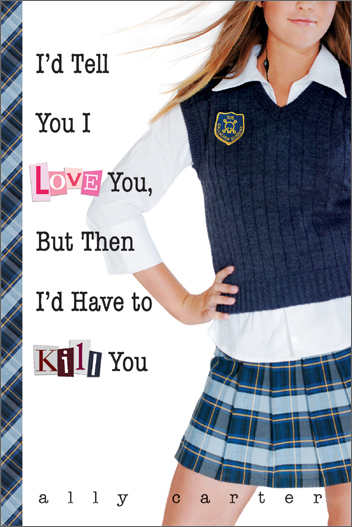 If you haven’t read the Gallagher Girls series, I suggest you do. The first book may seem like it is for a 13 year old girl, but as the series progresses, so do the books. The series matured along with its audience. Oh and this book is the nicest and fluffiest book you are going to get. The rest is heartbreak town. Good Luck! 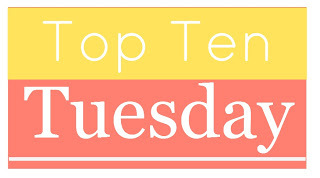 Today’s Top Ten Tuesday is about…impulse buys and I guess it was time the world knew what made me say, “Take my money!” (Oh Tumblr Memes…). Thank you The Broke and The Bookish for creating such fun meme’s, even if it does mean that the world will find out about my bad impulsive buying habits. I’ve secretly wanted to be a spy all my life but I lack the skills and um physical fitness needed for that type of job. I love a good con. This explains my continuing support of the Heist Society Series by Ally Carter and the USA Network TV show, White Collar. I’ve always lived at home and when it was time to go to college, I picked a university that was an hour and a half away from home. I guess I’ve always wanted to move thousands of miles away and see how that is. The only way I can experience that is through books. I think Ana and the French Kiss and 13 Little Blue Envelopes. I love those two books. Now I want to go to Europe. I get these moments when all I want to read is dystopian books. I’ve been a fan of dystopian books since I was in middle school. My favorite dystopian novel then was “The Bar Code Tattoo”. I kind of want to re-read now since it has been almost a decade since I last read it.